Iceberg were easily one of *the* best Progressive bands to come from Spain, or anywhere else for that matter. Their music is a shifting, complex mixture of fusion guitar and symphonic keyboards. "Coses Nostres" is most similar to Return to Forever's "Hymn of the Seventh Galaxy". Anyone who like's that RTF album will flip over Iceberg. Guaranteed! The scorching guitar dueling it out with the sizzling synthesizer will make you drop your jaw. The rhythm section are mind-blowing, riffing non-stop and enjoining battle with the guitar and keyboards. Vocals are too scared to get hear this hotbed so it's instrumental all the way. 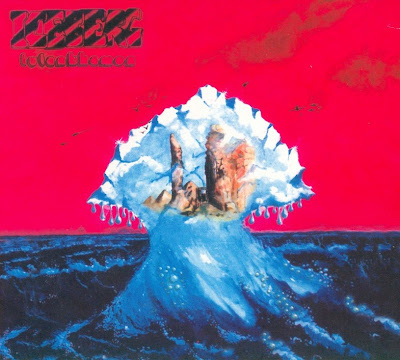 The subsequent albums reveal a more unique voice for Iceberg though still a very fusionesque form of symphonic progressive. Well worth searching out but the Try for "Coses Nostres" or "Sentiments" as they're a bit better than "En Directe" or "Arc En Ciel" though any of these are fantastic. ~ Mike Taylor.